The facts are that the most nutrient dense foods that we eat come from plants, including vegetables and fruits. The issue with most vegetarian and vegan diets is that the majority of their calories come from grains. Whole grains are great sources of carbohydrates, fiber and also have some vitamins and minerals as well. With that being said they are deficient in some micronutrients, and are deficient in two of the macronutrients we need, being fats and protein. Another problem with the vegetarian or vegan diet is that it severely lacks vitamin B-12 to the point where supplements are absolutely needed to make up the difference. Vitamin B-12 is important in the production of testosterone, cognitive functioning, fatigue and emotional stability as well. Another negative to the vegetarian and vegan diets is that they rely heavily on soy based products as the main source of protein. Soy is high in compounds called phytoestrogens, which act similarly to the human form of estrogen. This is especially problematic for men, in that eating too much of these foods may throw off the hormonal balance within the body. High levels have even been associated with certain cancer growths, so the vegetarian and vegan diets aren’t the best for everyone. 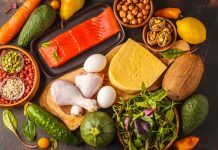 Having a diet that consists mainly of plant material isn’t a bad idea, however that doesn’t mean that you should or need to cut out meats altogether. Organic chicken and turkey are excellent sources of vitamin B-12 for example, and are also healthy lean proteins. This is something that has been engrained in people for generations now, so it is difficult to remove the stigma that surrounds saturated fats. 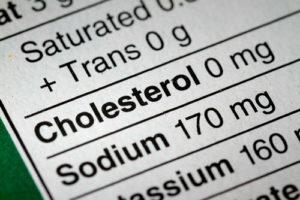 Saturated fats have been linked in the past to diseases that affect the cardiovascular system and the heart itself. These things include high blood pressure, increased chance of heart attack, increased risk of stroke and plaque buildup which was believed to be caused by saturated fat. 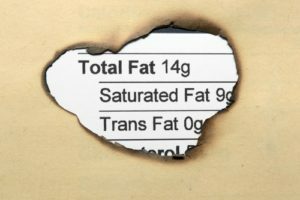 New studies that have been published lately however dispute these claims, and even state that there is no evidence that saturated fat is associated with cardiovascular disease or anything related. The facts are that your body actually needs saturated fats to function properly, so completely eliminating them from the diet isn’t in your best interest. With that being said, there is a difference between healthy saturated fats and unhealthy saturated fats. 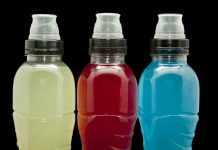 Many of the fats found in cooking oils that we use today are modified in the lab synthetically, and these are generally things we want to avoid. Stick to healthy saturated fats, like the ones found in olive, coconut, or avocado oils. Not only will these fats not negatively affect your health, they will actually benefit and improve your health. They are loaded with healthy fats, vitamins and minerals that help the body maintain homeostasis. 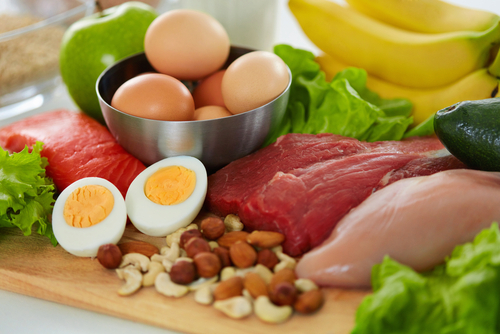 One of the biggest mistakes people make when it comes to their diets is believing that dietary cholesterol translates to blood cholesterol. This simply couldn’t be further from the truth. Some people take a look at the nutrition facts of an egg for example and end up avoiding it because of the high cholesterol content it has. Well the good news is that the cholesterol from the egg doesn’t directly translate to blood cholesterol, and eating eggs shouldn’t spike your cholesterol overall. In addition to that, cholesterol is an important nutrient and plays an important role in the production of hormones like testosterone. There is no relationship between egg consumption and diseases related to the cardiovascular system. Eggs are one of the best foods you can possibly eat, so don’t let these false cholesterol rumors ruin a good thing for you. Eggs are an excellent source of protein as well as vitamins and minerals as well. Eggs are also low in calories, so if you are watching your weight it is great in that capacity as well. If possible try to buy free range eggs, as they are much less likely to contain salmonella than conventionally grown eggs. Salmonella can potentially make you sick and is usually contracted via handling, so make sure you are using proper hygiene when preparing your eggs.